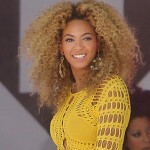 Beyonce Knowles is a very popular RnB singer with a honey coated voice and beautiful honey colored curls to match. She can often be seen next to fiancé Jay Z or performing her famous Beyonce lyrics for the world; Crazy in love, Baby Boy and Naughty Girl to name a few. Here we are going to have a look at the many hairstyle that Beyonce is famous for, mainly lush, golden, thick, cascading curls. 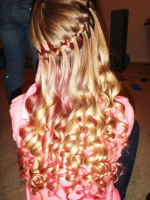 But of course there are many different variations with black hair, bangs and gorgeously pin straight shiny hair. It has been said that the singer is a self confessed wig addict and has a beautiful wig collection worth over a million dollars. 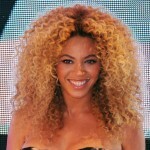 Lets have a look at some of these gorgeous lace front wigs that frame the face of Beyonce love!